By a sharp bend in the New Haven River along Rt. 116 in Bristol, VT, a favorite local picnic area was sheltered by a stately old maple. This cherished tree was taken down and left along the roadside because of its unmanageable size. 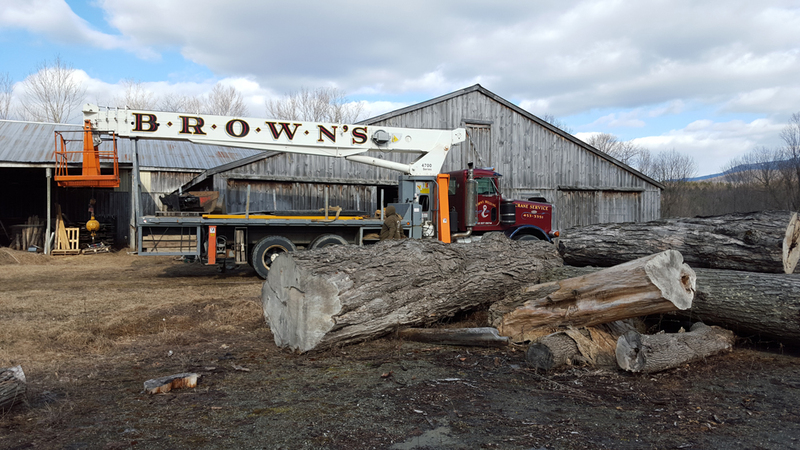 Vermont Tree Goods recognized its historic importance and beauty and brought in Brown’s Tree Service with their largest crane truck to rescue the “Picnic Maple”. At Vermont Tree Goods mill the overhead bridge crane maneuvered the immense log into place for sawing. 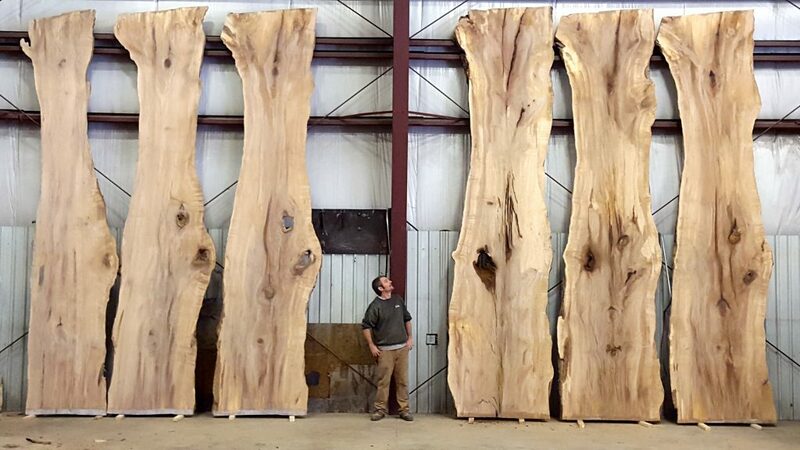 Live edge slabs were produced that are remarkable for their size – 19′ by 7′ – and for their character and color. 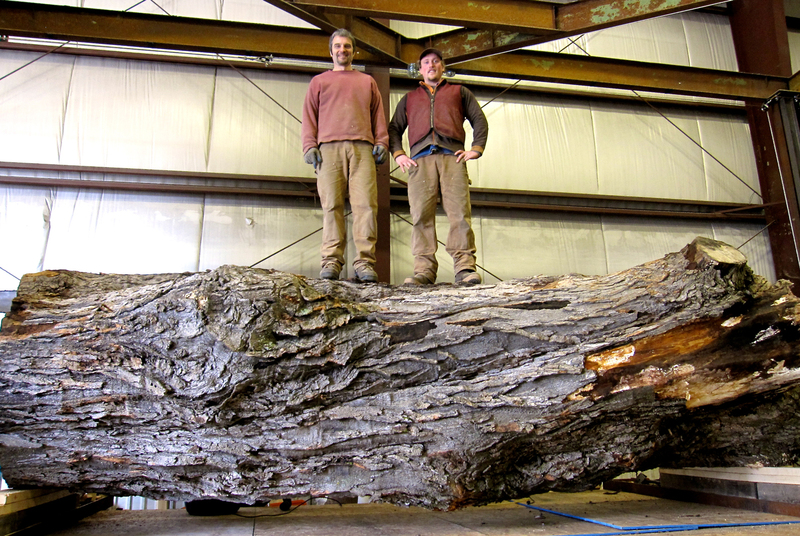 For over a year the wood has air and kiln dried and is now available to be crafted into unique custom furniture – a dining or conference table, a bed, or bar/counter top. We welcome your inquires and dreams. Please call the showroom for additional information on availability and options. Subscribe to our newsletter to keep up with the latest news!